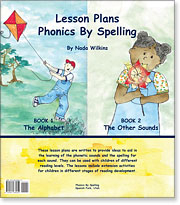 These easy to use lesson plans include teaching ideas for children learning all the phonetic sounds, as well as for early and fluent readers. These plans are packed with effective ideas for home school, preschool, speech, and elementary school teachers. These work well with Phonics By Spelling's books and music.